Synergy of green living is an unexpected benefit of the new lifestyle. Synergy of green living is about the quite unexpected benefits of this new lifestyle. 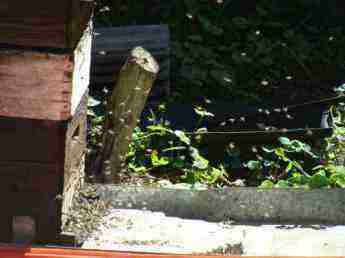 The bees mean better pollination of the vegetables, and healthy eating has meant fewer visits to the doctor; less pain and misery too. This page was last updated by Bernard Preston on 29th March, 2019. 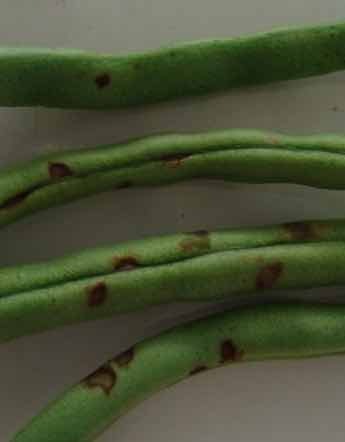 Acquiring seven hens and a rooster has brought another surprise; the bugs plaguing our green beans and sweet potatoes are history in an environmentally friendly way. Once you've started on the green journey, and got hooked on the blessing issuing from the well, so to speak, your interest is piqued. I have found myself looking for new fruitful avenues to explore. For example, right now we're looking at a natural way to enjoy probiotics without taking supplements by making sauerkraut and kefir; a chiropractic patient brought me samples, and it's delicious. He tells me it is dead easy. Talking of pills incidentally, a recent ten year research study published in JAMA shows that calcium supplements deposit the mineral in the inner lining of the arteries, increasing the risk of cardiovascular disease; but from your food, it lowers the chance of heart complications and stroke. My first venture into green living was more than half a century ago; when I was still a boy my grandfather passed on to me his love of beekeeping. You've no doubt started the journey at a different station. Now we're amazed at the fruitfulness of our garden; the pollination is astonishing. This week we're coming to the end of a crop of green peas that has gone on bearing for months. 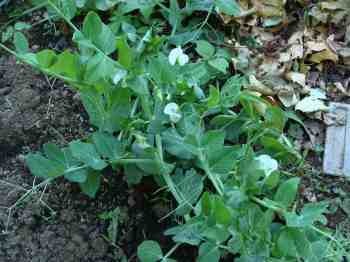 Yes, it is a fag reaping and podding your own peas; we think the taste and fresh sweet flavour makes it worthwhile. Often there'll be a dozen bright green gems in our eggs Florentine at breakfast too. Another unexpected benefit of getting into plant protein like peas and garbanzo beans has meant we are eating a lot less red meat; my urologist nearly fell off his chair when he read the result of my latest PSA; 0.9 is off scale at my age. A normal prostate is such a blessing for older men. Remembering that one of every four mouthfuls is dependent on these fierce little insects, the honey bee crisis is actually a problem for each and every one of us. Synergy of green living explores such things as solar power enabling rainwater harvesting, and the worm farms to feed the hens. 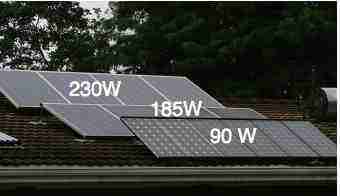 We first got into building a solar power energy generator on our roof because of need; the grid kept dropping electricity for extended periods and voltage surges damaged electronic equipment; the synergy of green living meant power for pumping our own rainwater during the extended drought plaguing South Africa. There was quite a lot of by guess and by God when we started, making some fundamental mistakes; like unbalanced solar panels. They really should have the same voltage for optimal function. So, if you decide to make this step into the synergy of green living, make sure you read every single one of my solar power energy pages so you don't make the same mistakes. It's been one of the most satisfying projects and we use no more than ten dollars of grid electricity every month; usually heating water during an extended period of inclement weather. Talking of the weather, the next step on our green journey was building an underground reservoir for storing rainwater. 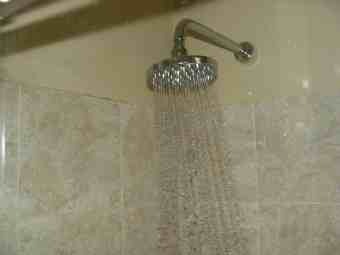 One of my serious indulgences is a fifteen minute shower with a huge head. Not I can enjoy it entirely without guilt or cost. Both the hot water and the electricity driving the pump come gratis, thanks to the synergy of green living. Then there are our free range chickens; we got started on them perhaps more out of curiosity than anything else, until we discovered the importance of choline and betaine, and how the average Western diet gets less than half of these very important vitamins. A deficiency means a host of serious diseases. But that's long term planning; not wanting to get Alzheimer's disease or suffering from cardiovascular disease. 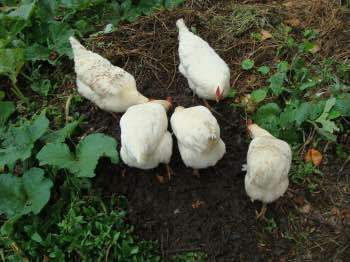 In the short term, it been the wonder of worm farms that has brought us a quite unexpected synergy of green living; we started them for their leachate, but they have multiplied in such abundance, doubling in numbers every month, that they have become the main source of protein for our hens. Then there's the discovery that eggs Florentine makes the most wonderful breakfast, since planting of spinach and leeks, and making our own low GI sourdough bread recipe; there's a huge synergy by providing strange sounding phytochemicals with names like lutein that prevents macular degeneration, carotenes and betaines that have other important functions. None of them take a great deal of time, except perhaps reaping a leek instead of plucking an onion from a bag, or collecting a pile of greens every morning, instead of opening a box of highly refined and expensive junk food called cornflakes; watch your blood sugar soar. Of interest, the farmer sells a kilogram of maize for R2 in South Africa, yet 1.2kg of a popular brand of cornflakes retails for forty-nine rand; it's highly processed with most of the vitamins, minerals and bran refined out for pig food; some is returned it's true, fallaciously called enriched. The least important part, the endosperm, goes to feed unconcerned humans. You have probably heard of the perhaps fake and anecdotal research done at the University of Michigan that rats eating the cardboard box that the cornflakes came in, all lived longer than those fed the contents of the box only. Both groups died long before those fed normal rat chow; which was probably largely unprocessed maize. Create your own synergy of green living by making your own unique eggs Florentine. 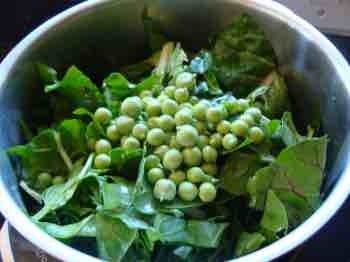 Spinach is great, but add freshly podded green peas and it's better still; or beet greens, and curly kale. Now drop a couple eggs onto the steaming spinach and you have the perfect breakfast; on a slice of bread made with 100% flour; butter is back, of course. It should never have been banished to Coventry in favour of margarine in the first place. Can you tell the real McCoy from the sham? 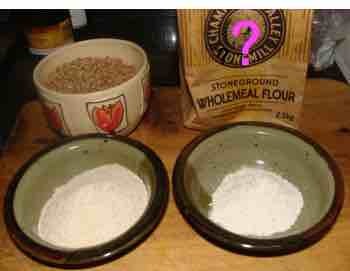 Millers are allowed to call it "wholemeal flour" provided they haven't removed more than 40% of the goodies. Important vitamins like choline are found in the bran and germ. We get the wheat from a local farmer. The hens go crazy over our stale 100% wheat bread, but are disdainful of a supermarket so-called wholewheat loaf. White rolls they won't touch; they're smarter than humans. Here they are into a gourmet worm meal. These hens have sorted out the Mexican bean beetles and sweet potato weevils that brought us almost to give up growing them; that's the synergy of green living. There's a wonderful synergy between legumes and fermentation, combining to mean a happier colon, and lessened likelihood of serious neurodegenerative diseases. Despite the many great benefits of legumes, they are loaded with what are being called anti-nutrients that inhibit the absorption of important minerals. Fermenting your legumes, for example in the colon with kefir, means far less problems from these substances. It's very complex biochemistry, but just accept that the fermentation of many foods, like sauerkraut and miso, have a strong underlying scientific basis. Kefir benefits are vast, and it behooves each of us to find out about these foods. It takes us less than five minutes a day to process our kefir; the benefits are unimaginably vast. Bernard Preston has become something of a solar geek; it's amazing what we humans can learn if we are prepared to apply minds to a new subject. The synergy of green living just leads down many exciting new avenues; yes, some of them do turn out to be cul-de-sacs. This week it was planting a curry leaf tree to compliment the coriander that we grow both for cilantro for our green salads, and now for the chicken curry we love.